We’ll use it to let you know what we’ve been up to at Roseview, with news about our products, our people and anything else that comes up or makes us smile. So why not take five minutes, grab a cuppa and see what we’ve been up to. If there’s anything here you’d like to talk to us about, we’d love to hear from you. Call our team on 01234 712657 or email us at hello@roseview.co.uk. I hope you enjoy this newsletter. 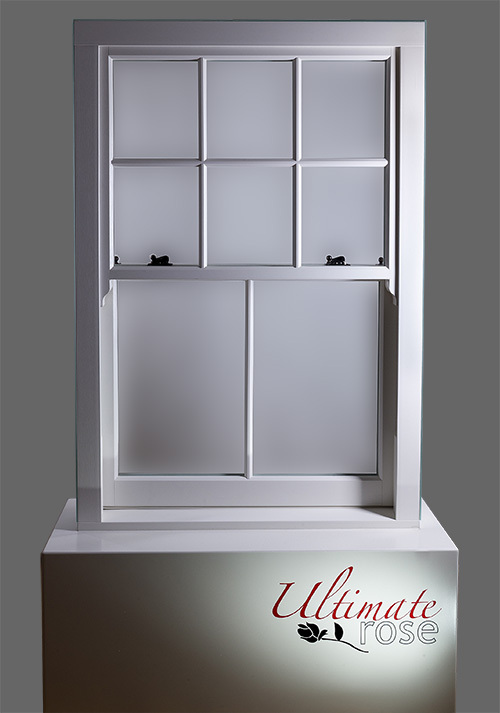 We officially launched the latest version of our top-of-the-range Ultimate Rose sash window earlier this year at the FIT Show. Since then, it’s caused quite a stir! In 2013 the original Ultimate Rose won the prestigious G13 Award for new product of the year. We had made the most authentic, timber-like uPVC sash window on the market, and many thought it represented the pinnacle of what could be achieved with uPVC. They were probably right. Using Rehau vertical slider profile (already the slimmest VS profile there is), the original Ultimate Rose featured external putty lines, woodgrain finishes as standard, our own flush-capped run-through horn system and timber-like mechanical joints. 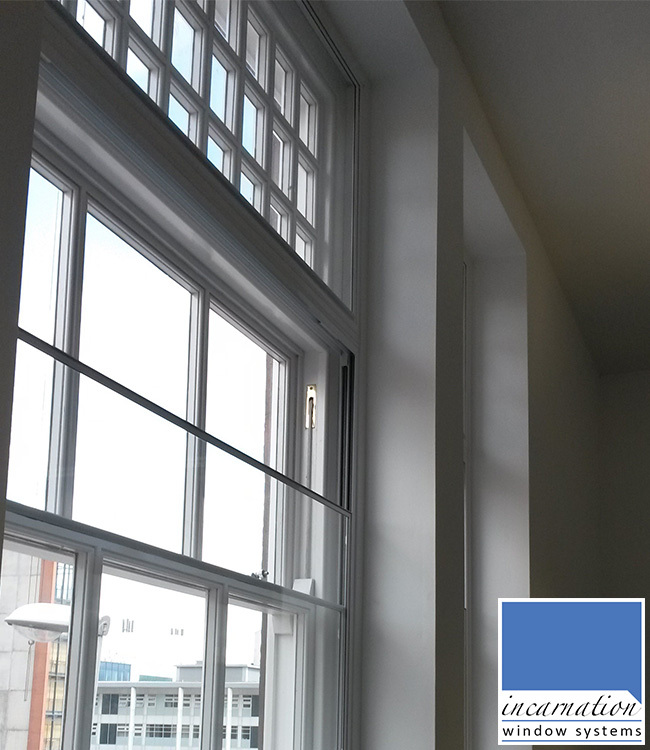 The result was a window almost indistinguishable from original timber sashes, certainly from a couple of feet or more away (as one customer told us, “It looks more like timber than timber does!”). At the time there wasn’t much more we could do to enhance its authenticity. But that didn’t stop us trying. And after more than two years of research, development and testing, we cracked it! The new Ultimate Rose features everything the old one did, but with some key enhancements. First and foremost, we developed our own super slim meeting rail profile to replace the standard Rehau version. 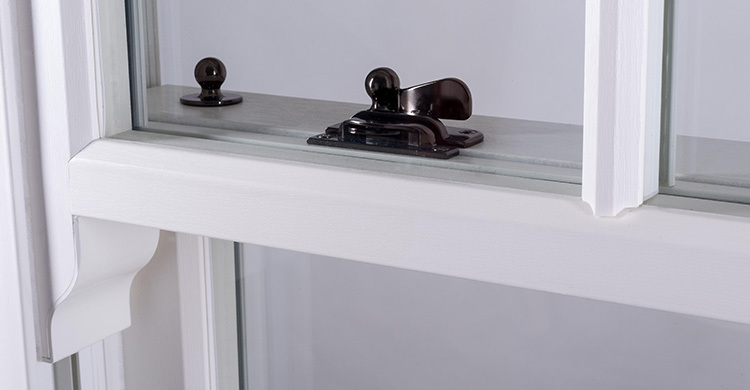 Although the standard version was already very slim at 44.5mm, having an ultra-slim meeting rail is a key feature of vintage timber sash windows. Our new version – which we designed and developed in-house and have specially extruded just for us – is only 35mm deep – the slimmest available on the market, More importantly, it’s in proportion with the rest of the window, just like on a timber window. After all, there’s no point putting a super-slim meeting rail on a window where all the other profiles are too chunky. As a result of developing our own meeting rail, we’ve also been able to design out a feature that normally gives away a uPVC sash window – the interlock line. On a standard window this line runs underneath the meeting rail, where the profile cap and main sash profile. On our version the meeting rail profile has the interlock built in, allowing us to have a completely smooth profile underside. As a result – no interlock. To finish things off we’ve also commissioned a range of bespoke traditional globe furniture, available only on the new Ultimate Rose. It’s available in a new range of vintage colours, and adds the final detail that makes Ultimate Rose indistinguishable from timber. The response to the updated Ultimate Rose window at the FIT Show was incredible. At times we had a queue of people lining up to see it, and we lost count of the number of comments we had from people who couldn’t believe the window was uPVC, even close up. Since then it’s really taken off. The updated model replaces the old one and we sell it for exactly the same price. You can specifically ask to have a mark 1 Ultimate Rose (if, for instance, you’re matching an existing job), but otherwise, we ship the new version by default. For more information on the new Ultimate Rose, check out the video below or visit our Ultimate Rose web page. Every year the G Awards – held in the Park Lane Hilton in London – is a great event. They recognise excellence in UK glass and glazing, and are without doubt the most prestigious awards in our industry. We were lucky enough to win a G13 New Product of the Year award for our Ultimate Rose window and it’s fair to say – it made our year. 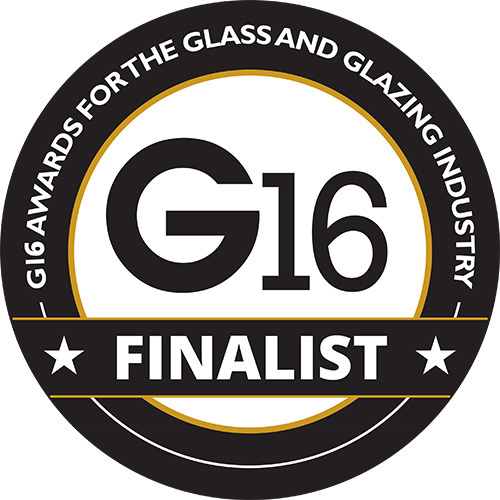 This year we’re up for not one but two G16 Awards: Customer Care Initiative of the Year and Fabricator of the Year, and we’re very excited about it! Just being nominated as a finalist is a huge achievement, and one that we’re very proud of. Both categories are very competitive, so our nominations are testament to the quality of our products, our dedication to our customers and – most of all – all the hard work put in by our staff over the past year. We’ll be at the awards evening on November 18th, hoping to come away with one or perhaps even both awards (keep you eyes on our Twitter feed @RoseviewWindows to find out!) But even if we don’t, it won’t dent how chuffed we are to have had our work recognised. As a result of growing demand for our windows, over the last year we’ve invested heavily in our factory, staff and equipment. As well as purchasing our third factory unit last year, so far in 2016 we’ve invested almost £400,000 in new machinery. We’ve already installed new frame welders, corner cleaners, bead saws and other various bits of kit, but the stand-out investment is our new Stuga saw and machining centre. In the past we cut all profile on a standalone saw and then prepped, drilled and routed sashes by hand. The new machine centre replaces almost all of that in a single process. The first of its kind to handle sash window profiles (which are very different to standard casement and door profiles), the installation, set-up and testing of the new Stuga has taken over two months. 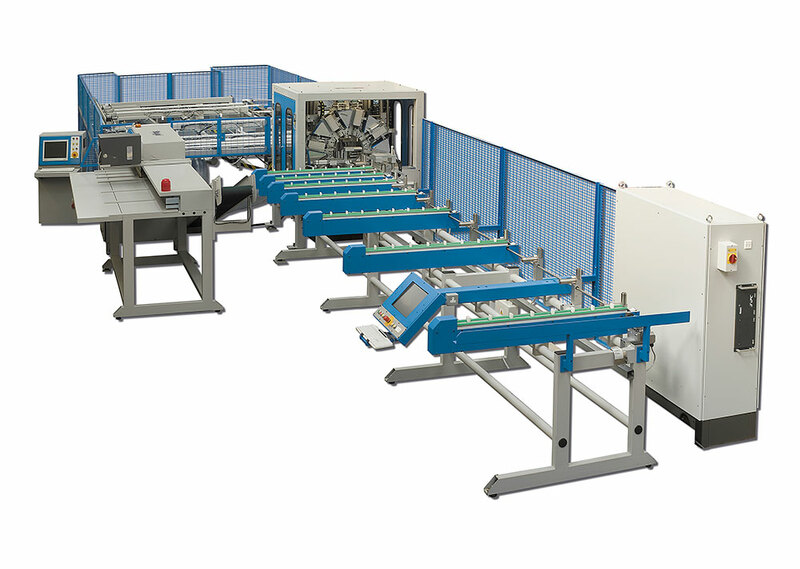 As well as purchasing the machine itself, we had to do a lot of custom development work both on our production software and on the Stuga’s own software. It’s been a long process, but we’ve been running the new centre for over a month now, and already we’ve seen big improvements in throughput. While ultimately the machine centre will allow us to increase production numbers, the key benefits are improved consistency and efficiency. Are you interested in seeing how we manufacture our award-winning sash windows? We love welcoming our customers to our HQ in Buckinghamshire, so if you’d like to see what we do, get in touch with our sales team and we’ll organise a visit. Last month we said farewell to our Finance Director Mike Neal, who retired after eight years at Roseview. 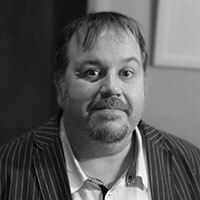 Mike joined us in 2007 after working as CFO at a major UK media company. He has been instrumental in our growth and success, working behind the scenes to update our processes and turn us into a nationwide, multi-million pound organisation. Technically he was supposed to retire three years ago, but we managed to talk him out if it! Mike and his wife Karin have homes in the North West and in Sweden, and they plan to spend their retirement between the two, with their family. Replacing Mike in the key role of Finance Manager is Maria Lewis. Maria is a very talented and experienced in the role, and we employed her three months before Mike’s retirement to give her the opportunity to settle in and shadow Mike, ensuring the transition is as smooth as possible. 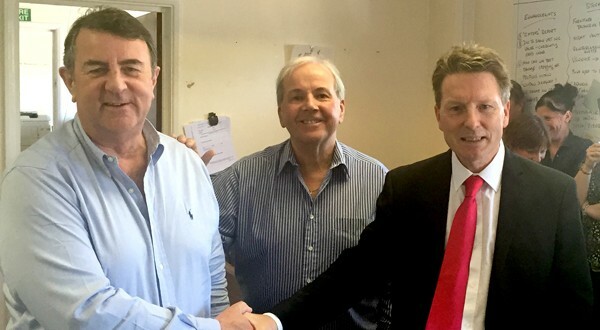 We have also brought in Ray Holland, who is filling the newly created role of Purchasing Manager. Ray has over 25 years of experience in procurement, and will be responsible for overseeing our relationship with our suppliers while also implement a new stock system designed to cope with ever-growing demand for our windows. Did you know that we also have a sister company – Incarnation Windows – who exclusively manufacture aluminium secondary glazing? At Roseview we spend all our time working with sash windows, which often means getting involved in heritage and conservation projects. But there are times when replacing a building’s original windows simply isn’t possible or viable. That’s not to say that those buildings wouldn’t benefit from double glazing – in a lot cases these are the places that suffer from cold, draughts and noise the most – but there may be very good reasons why the original windows can’t be changed. That’s where Incarnation comes in. Their industry-leading secondary glazing system – the first new system to be designed in more than thirty years – gives installers access to projects that need better insulation without touching the original windows. Think churches, historic properties and listed buildings – all can benefit from secondary glazing. On top of that, secondary glazing is simple to quote, simple to survey, simple to order and simple to install. So why not find out more at the Incarnation website, or give the a call on 01234 240404. Our Chairman Steve Bygrave took part in the MADi Rally, driving from Kent to Monte Carlo to raise more than £120k for the Anthony Nolan Trust. We exhibited at the FIT Show for the first time this year. We had such a good time and it was such a success that we’re doing it again in 2017. This year we launched three new brochures: our Rose Collection brochure, Specifiers Guide and Conservation Guide. Feel free to download them. We’ve recently completely refurbished the showroom at our HQ in Olney. Now it’s a fantastic place for you to bring your customers to see the Rose Collection windows. We offer two free training courses to our customers. One is a general course covering our Rose Collection windows, and the other covers surveying and installing sash jobs. Contact us for more info. You can find us on Twitter: @RoseviewWindows. Give us a shout , let us know that you’re a customer and we’ll follow you back! 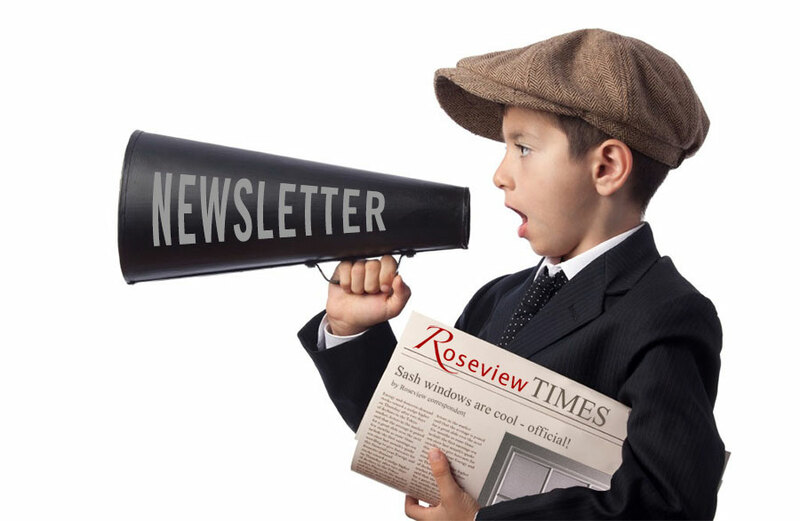 That’s the end of our first e-newsletter – I hope you enjoyed it! Actually, I really would like to hear what you thought of it – is it any good? Is the info in here interesting? Would you read it again? What could be improved? Or maybe you didn’t you like it, in which case I’d like to hear you thoughts on that too. Please add your comments below, or feel free to email me at mike [dot] bygrave [at] roseview [dot] co [dot] uk.